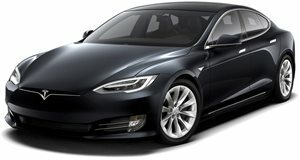 For the past few years the Tesla Model S was the so-called “it” car for what the industry calls “early adapters” with money. They love to have the latest and the best. 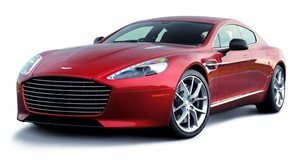 And now Aston Martin wants their business with its upcoming RapidE. Speaking to Autocar, Aston Martin CEO Andy Palmer openly acknowledged that his company is “looking to those guys looking for something above Tesla. That customer probably isn’t looking for ‘Ludicrous Mode’. "Our offer will have very credible acceleration – equal to a petrol Aston Martin – but you’ll be able to drive the car rapidly all the way around the Nurburgring without it derating or conking out on you.” Aston Martin has already unveiled the prototype of its first EV, the RapidE, though customer deliveries won’t begin until 2019. Just 155 examples are planned, and it’s safe to assume the final production version won’t look 100 percent identical to the prototype. In fact, the prototype you see pictured here is merely a proof-of-concept. Developed in partnership with Williams Advanced Engineering, the prototype is currently powered by Williams’ Formula E battery, but the production battery will be smaller.